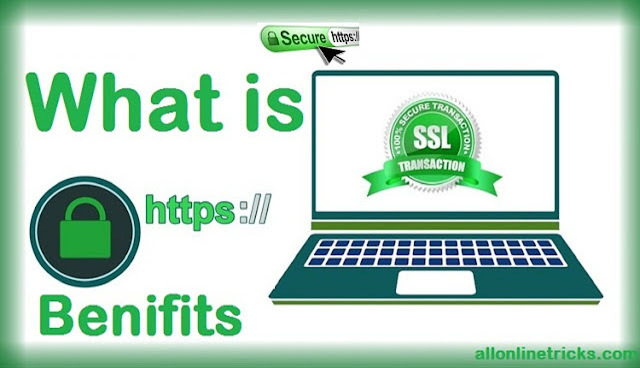 What is SSL Certificate | How To buy SSL for More Security in Blog - Hi we are talking about HTTPS The full name of the HTTP is the Hypertext Transfer Protocol. As you know that. Every WebSite has an HTTP at the start. This is a Simple Transfer Protocol. We call HTTPS its secure version HTTPS's full name is Hyper Text Transfer Protocol. These are of two types. The first type is TLS i.e. the Transfer Layer Security and the second type is the SSL Secure Sockets Layer. TLS is used very rarely TLS always uses top level websites. On which user's privacy is taken such as the Ecommerce Site SSL is quite widely used on the other hand mostly Websites use SSL. The work of HTTPS is to protect a user from the Middle Attack. The primary use of Https is Websites that collect any data from the user such as User Account Details Payment Details .. Whatever your privacy is in the middle there is no decode on the WWW. This is the work of SSL. Today in this post we will explain why you should buy an SSL certificate and what are the benefits ? How many types are these and how can you buy it in a lower price. So let's start. If you are taking any kind of details online from the user so that it can have a privacy decode then preferring that you use an SSL. With this your website will be professional and you will be able to give your User a Best Service if you are not taking User's Privacy details then you should tell us why you should buy SSL because Google has clearly stated that More Preffer will be given in Search Ranking. You should still buy SSL. There are 5 types of SSL. Which have been Type By Type Divided. SSL also has many types. It depends on your strategies. Which SSL do you want to use. 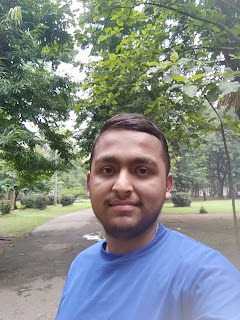 Now Friends Here I Will Explain You in Detail of Top Best 3 SSL Certificates. WildCard SSL is mostly done by Education Organization and large organizations in which the Personal Identity of Websites is done WildCard SSL is mostly used by the Banks and Server website. If you want to do good work with your SSL subdomain you should purchase WildCard SSL. It's also called Domain Verification SSL letting you know that there are two types of SSL. Positive SSL and Assertive SSL if you are just getting SSL to keep the content safe then you can just take Positive SSL. E.V SSL is done by a large organization and company. These are very expensive. If you see SSL with Green Pad then So this is E.V SSL. Now you have come to know what is Https. You have also got Jaan as well. Just now you have to install SSL in your website. Let me tell you this too. This process is a bit tricky due to some kind of malfunction your website may be down for some time. If you do not want to do this process then tell you that you can easily purchase SSL from your hosting provider. Price You will find hosting of c panel pe hosting Now if you want to do this process then follow the steps given below carefully. You will first be brought to the SSL Store. Now you have to Simply choose your plan on it. In our next post we will explain in detail what is SSL. If you liked this post then continue to make your own support and continue to visit allonlinetricks.com and do not forget to share it with social media. And if you have any questions you would like to ask us. Please comment below. All you have to do is click on Add To Cart. In the Next Page you have to do Yes and No on Boxes. After that the last thing to click on Add To Cart. Now your payment page will open you will see two payment methods on it you have to pay by Paypal or Credit Card. Now your entire process has been completed. Now you have to read our second post to setup SSL.